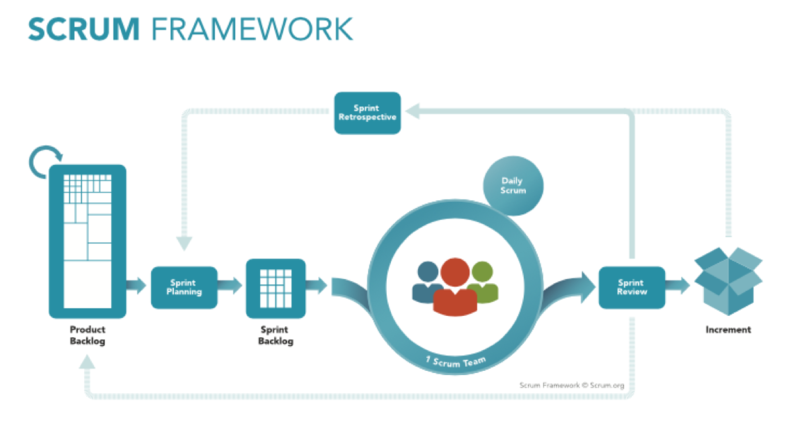 Scrum is a simple framework for effective team collaboration on complex software projects. The Scrum Framework poster provides a graphical view of how Scrum is implemented at a team level within an organization. The Framework is based off of The Scrum Guide which Scrum co-creators Ken Schwaber and Jeff Sutherland have written to explain Scrum clearly and succinctly.